FAKE HISTORY! FAKE "FACTS"! FAKE DEMOCRACY! Why did Brexit happen? The answer is ably exposed in the heart of EU Brussels. The Austrian presidency mounted two exhibitions inside the Council of Ministers building. They both illustrate and emphasise a FAKE history of Europe. They show in undeniable terms the cause of Brexit. One expo celebrates the Maastricht Treaty, which entered force 1 November 1993. The other denigrates real democracy. Fittingly neither is open to the general public! The Maastricht treaty has been a disaster for European democracy! Why celebrate it? Maastricht emerged at a time when the public complained at the refusal of the Council of Ministers to open up its dealings to the public and the press. Instead what did the politicians do? They created a series of new, closed-door councils and committees to add to the European Communities. These secretive groups were called the second and third pillars of their Europe. They were run by officials for the benefit of officials and politicians. Freedom and democracy had broken out across Europe but not in Brussels! Central and Eastern Europe had just been freed from the yoke of the Soviets in 1989. The Soviet citizens freed themselves in 1991. For years democrats complained of the Democratic Deficit in Brussels and the lack of transparency. The Maastricht Treaty was a huge disappointment to citizens who wanted open government. It recreated two extra Politburo closed-door systems extending the web of secret decision-making to many other unauthorised parts of their lives. This should have sunk it for ever. In France it passed in a referendum by a bare 51.1%. The "petit oui" was considered a signal to end non-consensual European integration. Only Ireland voted for it. All other countries, and significantly the UK, got no chance to have a referendum. Who would want to make the wheeler-dealer Council even more opaque? So was the treaty binned? No. Not according to the European leaders who met in Edinburgh in December 1992-- the "European Council", invented by de Gaulle, was not a European institution. The European Community system is based on independent institutions. But the leaders considered themselves a Politburo! They set their own superior rules. Democratic assent was not included. Then the Council got into further undemocratic fraud. It told the Danes to vote again! After manipulations to appease the Danes, the treaty was obviously changed. But no other national public was asked to agree by referendum to the revised concoction. No referendums, no public consent. The Council politicians, behind its doors, decided for the public. This double fraud ignited fury amongst democrats leading to UK's rejection later in the Brexit vote. Yet the Brussels politburo still thinks their haughty attitudes equates to democracy! Its name, Treaty on European Union, was also a fraud. The European Union was the name originally given to the Council of Europe until the British objected. Thus the principal reason that the Council of Ministers wants to celebrate this backward event is to laud its autocratic powers over public opinion. How did the Austrians get away with this "celebration"? It is full of fraud and fakes. Only the Politburo cheers. Case 1: How did political Europe start? According to the exhibition it started in 1952. Why? Because, according to the Austrians, that was the year of a “Proposal for a Political Community and a European Defence Community (EDC)”. Let us remind the Council that those two proposals for supranational and democratic Communities failed. Why? Because, although the EDC had been ratified by all Member States except France, Charles de Gaulle mobilised his supporters against them. With the immanent threat of Cold War turning into World War 3, Gaullists did not have the courage to have an open vote against a European army. Together with the Communists they introduced a motion in the National Assembly that the question of ratification be not put! So the proposal was shelved. But even then European governments did not say Five voted for it, only France hesitates. Therefore the majority has won! If the French wanted to show some guts they would ask that the motion be now put to a vote. But be warned! The supranational concept is clearly spelled out. That means that all European decisions are subject to full democratic control! This is highlighted in the very first article of the draft EDC treaty. The EDC and the EPC are prime examples about how “populist-nationalist” rabble-rousers such as de Gaulle’s supporters and Marxist-Communists blocked democracy in Europe. After January 1946, de Gaulle was out of power but held disruptive mass rallies across the country. His aim? To sabotage the French Fourth Republic and assume unique power without political parties. The Communists were the largest party in Parliament. They had similar ideas. But why start “The Path to Maastricht” with this failure of democracy to assert itself? Why don't the Austrians specifically condemn the "populist" Gaullists and Communists? Why don't they praise the Europeans who stood up against these bullies and supported the Community system and open democracy? "Proposal for a European Political Community and a European Defence Community". Did nothing happen in the path to political Europe before 1952? The clue is in the photograph above 1952. The photo has nothing to do with the proposal for the EDC and the EPC. It is a photograph of the signing of the Treaty of Paris 18 April 1951. Were the Austrians ignorant of this? Hardly. Here is a photograph of the same event from the Council's own website. It is the signature of the Treaty of Paris and the Europe Declaration of 18 April 1951! The Paris Treaty is notable by its absence in the history of the Maastricht Treaty chronology. Extraordinary! It is the first and most important of the European Community treaties. The Europe Declaration is an even more important document. It defines the principle that all agreements between European States must have the people's consent and agreement. "This Europe is open to all European countries that are able to choose freely for themselves." That's why the Maastricht Treaty is so insidious. It did not allow the people to choose freely. Two later Rome treaties are curiously included dating from 1957. Why obliterate the original Community and its definition of democracy? Who is in the centre of the picture? Robert Schuman, Foreign Minister and previously twice prime minister. The Treaty of Paris for the European Coal and Steel Community was called the Schuman Plan. Schuman proposed it on 9 May 1950. It was the most political Community of all. It introduced something totally unknown in the world. It was the first international anti-cartel organisation in world history. Cartels both national and globalist have fomented war and pillage of the population from time immemorial. They were more powerful than feudal powers in the medieval wars. An international cartel that controlled the supply and sale of some vital product could control the economy. A bloody arms cartel fomented wars for profits. It is even more ironic that the Austrians are not even mentioning World War One. November 2018 marks the centenary of the start of this world war. Did it start because an Austrian Grand-Duke was assassinated in Sarajevo? The Austrians should know! They have the archives. So have I. They were published in the 1960s. The Germans’s archives with their correspondence with Vienna was captured by the Allies in 1945 after the Second World War. They show that Austria was bullied into declaring war by Germany's war party in Berlin. The Germans had planned the war based on the Lightning Attack Schlieffen plan. The French obtained these plans in 1904. They show that the principle War Aim of the Germans was to control the French strategic resources, specifically the iron ore deposits on the other side of the border from occupied Alsace Lorraine. They had occupied these French provinces in 1871 and defined the borders based on their minerals. We should recognise the main danger TODAY. World politics can easily be controlled by globalist cartels. Thus the most important political Community was the first one which provided Europeans with the means to fight back democratically with open debate and regulations. So why did the Austrians deliberately leave out the threat to the liberty of Europeans from globalist cartels? Lies and Fake history can proliferate by omission. What was the most important problem after the Second World War? In fact there were two. The most obvious one was the Cold War. In 1948 the Soviet Union acquired the Atomic Bomb. The public expected another world war, either by the attack of the huge Red Army that had not been demobbed after the war or by a surprise, pre-emptive American attack. The second problem was post-Nazi Germany. Would it join the West or would it join with the Soviets who occupied East Germany? Would it play politics with both side and ignite other European wars? What was the solution? Robert Schuman’s first government proposed that democratic Europe should unite by creating two new institutions. The first was a European Assembly (which saw light as the Council of Europe and the European Parliament) and a Customs Union. Historians have considered this to be the most important turning point in all European history. It was the first time a government in Europe had formally proposed a means to unite Europe POLITICALLY. When did this happen? 24 July 1948. That is seventy years ago. The key date for European political integration is totally forgotten! 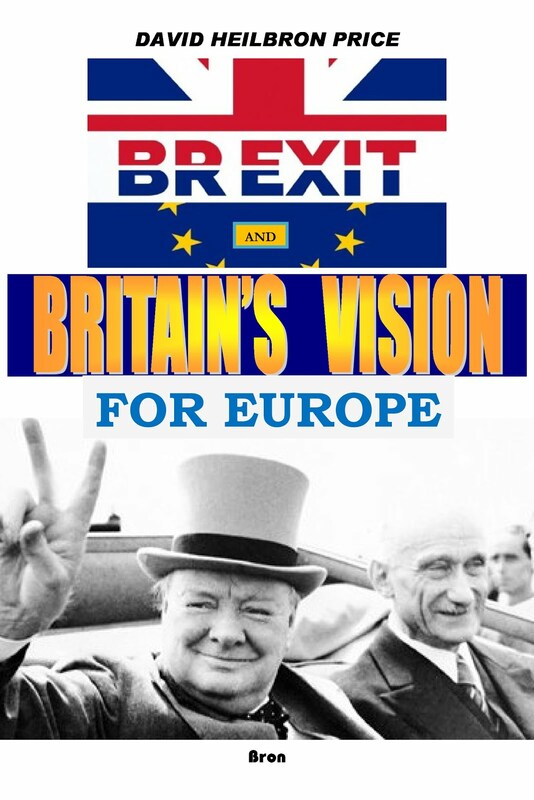 If only Europeans understood why Schuman proposed and created a democratic Customs Union, they would have spared themselves all the trouble with BREXIT! If the Austrians had been honest about their chronology of the “Path to a Political Europe” would not this date figure as the most important? Wouldn’t help explain to Brussels that a Customs Union has to be democratically controlled? Wouldn’t it help explain to the British who reject the Democratic Deficit of Brussels that reform and open Councils are urgently required? Case 7: Upside down history. The other exhibition of the Austrians is the glorification of the Holy Roman Empire. They even have the effrontery to call this supranational! That is objectionable because the term supranational was first used as a political term to describe a democratic structure for European national Democracies. It describes the way to make Europe a Democracy of Democracies. Was the Holy Roman Empire of the German Nation a model for Europe? Hardly. Historians call it a fake as it was neither holy, nor Roman, nor an empire. It was at war with other countries much of the time. Is its crown a symbol of democratic Europe? The term supranational was first used legally in the European treaties to describe the Commission. It had to be INDEPENDENT of political parties, national governments and private interests. The failure of the Maastricht process lies in the lack of its public support. Commencing with Maastricht, the Brussels politburo created closed-door institutions for foreign affairs, justice and home affairs. How can Justice be decided behind closed doors? Did the the Council and the "European Council" learn its lesson? No. It went on to use the same Maastricht technique for the next treaties, Amsterdam, Nice, and the Constitutional Treaties (MANIC). The latter was rejected by France and the Netherlands and half a dozen other States were set to do the same. It could not pass. By rejecting the Constitutional Treaty, Europeans also rejected the idea of an Exit Clause. It first appeared as its Article 59. So how did the "democrats" of the European Council react? Stealth and deceit. They disguised it as a reform to the European Economic Community. They forced the totally rejected Constitutional Treaty through their parliaments -- sometimes without them being allowed to read it! Then they renamed it the Lisbon Treaty! They could not stop Ireland having a referendum, as required by their Constitution. Ireland rejected it. So how does this relate to Brexit? It doesn't. The "Lisbon Treaty" has no legitimacy for the huge changes it supposedly makes to the democratic Community system. How can a "democratic" State that promises referendums but in practice forbids its people to have its voice in a referendum on the Lisbon Treaty, maintain that the treaty can have any legal or democratic validity? It is legally "unsafe". Thus a referendum using its articles is meaningless. How on earth can the British apply Article 50 of a non-authenticated, non-democratic treaty? First the British needs a referendum to assent to the treaty (or not!). Only then can Article 50 have any force! Democracies can never consider submitting to undemocracy!